The M.O.M.C. develops and supports activities in education, conservation, recognition and community service. We have programs to recognize individual efforts such as True Trophy Release, the Thirty-five Pound Club, the Forty Pound Club, and Top 5s. The M.O.M.C. 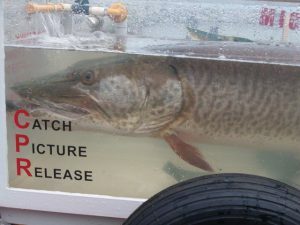 also hosts an annual Charity Muskie Derby to raise proceeds for the Michigan Special Olympics, and is an affiliate of the Michigan United Conservation Club. It is the club’s goal to provide members with opportunity for fun and rewarding experience. The M.O.M.C. is a club whose members are proud to belong to, and which sets the standard by which other fishing organizations measure themselves. We support catch and release! 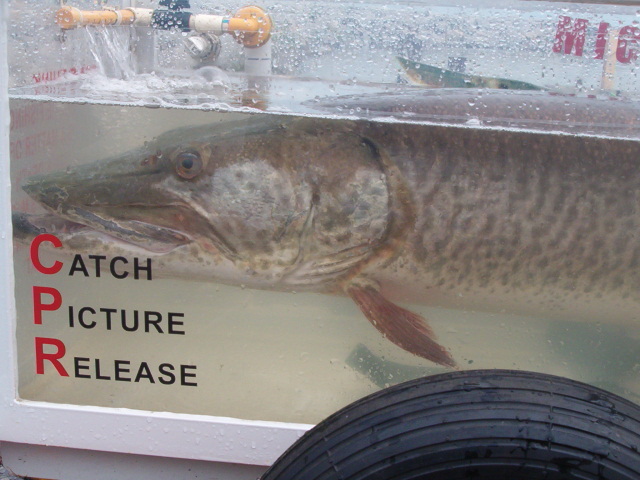 Catch and Release – After catching, the fish are released back into the water before they are totally exhausted or critically injured.